The city of Toulon possesses a fine natural harbor that offers shelter from the Mistral winds. In addition, it is convenient for making excursions into Provence or to the Cote d'Azur. 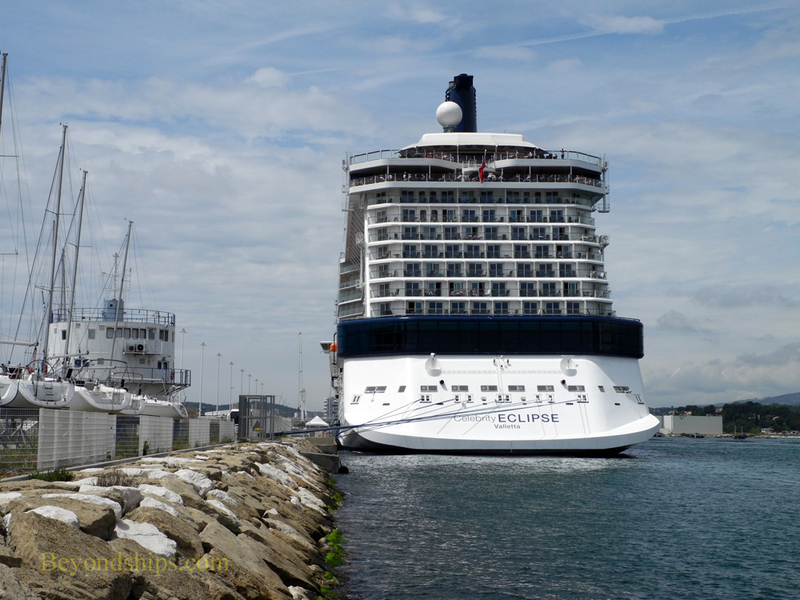 Consequently, there are approximately 145 cruise ship calls at Toulon each year. Most cruise ships dock at La Seyne-sur-mer, which is capable of handling large cruise ships of up to 1,110 feet in length. The cruise port facilities are rather basic but a new cruise terminal is planned. La Seyne is actually 10 km west of the city of Toulon. 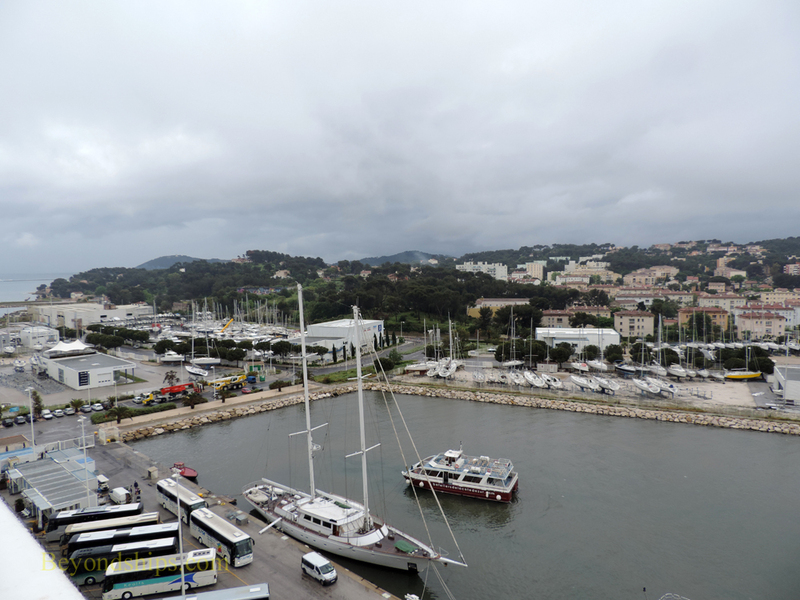 However, there are ferries across the bay and public buses for those passengers who want to see Toulon itself. Smaller cruise ships dock at Quay Fournel, which is within walking distance of the city center. It has a small cruise terminal. In recent years, Toulon has increased its focus on tourism. However, Toulon is perhaps best known as the home of France's Mediterranean fleet. It has been so since 1484 and remains so today. Assault ships, destroyers, auxiliaries and even an aircraft carrier can be seen docked or at anchor in the bay. Above: Celebrity Eclipse at La Seyne. 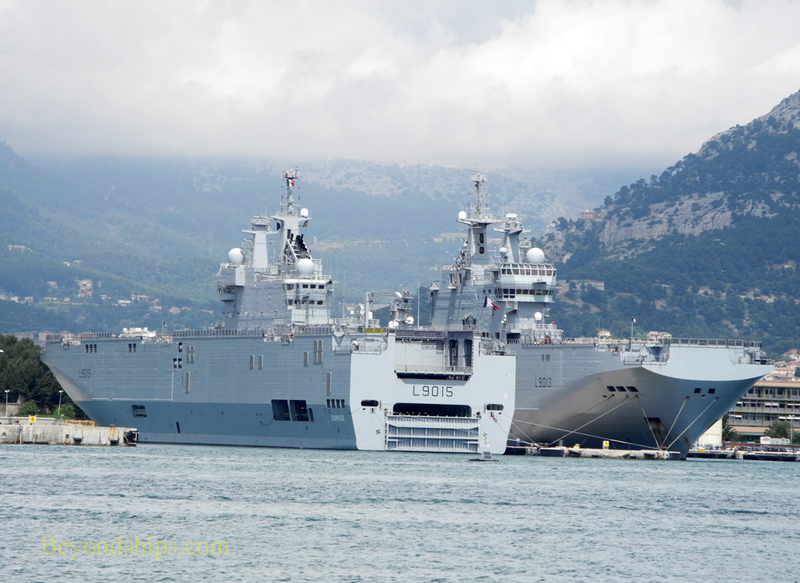 ​Below: French assault ships in Toulon harbor.